You’ve heard of this little thing called Oktoberfest, right? Well, it comes around every year in September, running for 16 days to its fantastic finish in October. It is the largest Volksfest in the world, where more than 6 million people celebrate beer and traveling. Catch oompah bands, endless kegs filled with great German beer, schnitzels, pretzels and all the –tzels food you can imagine during this celebration marking a king’s wedding. This year’s Oktoberfest runs from September 17, 2016 to October 3, 2016, so be sure to head there as soon as you can to be a part of the wedding-reception-that-never-ends. There’s no doubt Munich is our top hit on the best fall destinations. Guess where else you can celebrate the German-legacy Oktoberfest? Windhoek! It’s the capital and largest city of the Republic of Namibia and is centrally located, making it equally distanced from many attractions in the country. Feeling a sudden urge to go on safari? Namibia’s dry climate makes it a suitable travel option all year round, but the warmer months of September and October means that the best time to spot wild game is now. Reserves are within a few hours’ drive, the Coastal Desert, now a UNESCO World Heritage site, is home to some of the best night-sky views in the world, and the stunning landscapes, like at Fish River Canyon, will leave you in awe. Air Namibia also has direct flights from Cape Town and Johannesburg, making it easier than ever to travel. Even the bears prefer Chicago in fall. It’s cooler, the trees on Michigan Avenue are turning colors, and the animals in the zoos are putting on their winter coats, wearing their best for the season. You’ll find a new spring in your step during Fall in Chicago: the summer crowds are gone, hotel rates have drifted downward, and the Windy City is ready to shine. Full of architectural wonders, Chicago is ready to impress with music, festivals, arts, sports and food. See the glass-floored Willis Tower, the stained-glass Robie House, silvery Cloud Gate, and raucous Wrigley Field; You’ll never be bored in Chicago where there’s something groovy happening every night. See the fiery glories of fall foliage in Scotland, where the red colors of autumn burn brighter than the hair of the country’s descendants. Deep in the Scottish Highlands, the village of Bridge of Orchy sits among incredible scenery. Stay comfortably between towering mountains, explore castles hidden in the mist, and drink whisky like the Scots intended. The fine, tweed shades of autumn are not just in the woodlands, but also the moors and fields. This village near national parks, creating a landscape that inspires writers through time. A notable tourist hotel has been in operation since 1751, offering a historic glimpse into old Scottish charms. This is a perfect destination for canoeists and white water rafters since this destination crosses River Orchy, one of the finest white-water rivers in the UK. Has the harvest season inspired you to visit a vineyard? Find your way in the idyllic countryside of Piedmont where bold Barolo, the “King of Wines”, is produced. 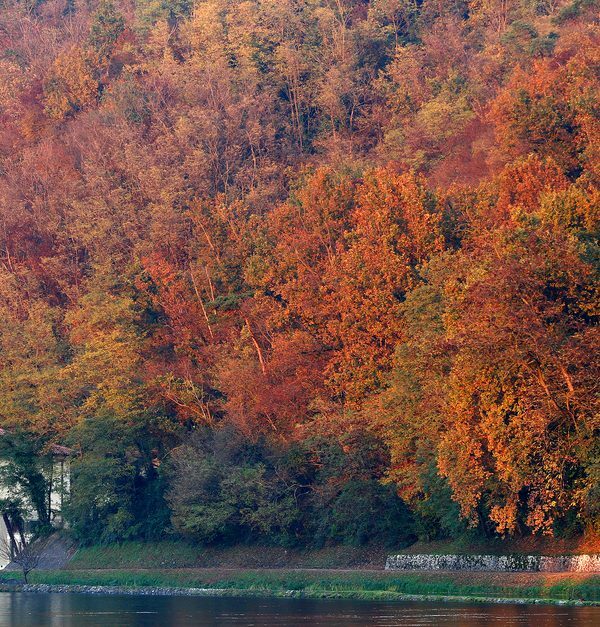 Fall is a season for festivals in Piedmont, Italy; white truffles, rice, and sparkling wine are waiting to be had. It’s slow food and fine wine in this elegant destination. Start in Turin, a beautiful location often overshadowed by Milan, and discover Italy with a French-twist. It’s a landscape worth catching, especially in fall where the pretty pastoral landscape blooms in rich color. Sure, autumn means cooler weather but that doesn’t mean you need to getaway to somewhere warm and tropical. Travel is all about exploring the world. Travel the seasons and head to some of the best fall destinations. Embrace the season with warmth, and explore the world in seasons that will surprise you more than you can expect.